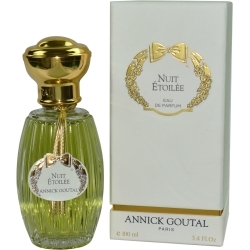 Enjoy a fragrance from Annick Goutal that embodies the beauty of long moonlit nights with the fresh spicy scent of Annick Goutal Nuit Etoilee, introduced in 2012. The aroma of the perfume opens up with a minty smell accompanied by top notes of citron and orange. During dry down, a woody heart emerges, with the scent of pine tree and fir rising to the forefront, all of which is supported by a base smelling largely of immortelle. The combinations of notes are great for evening wear.